Combine pear juice, water and salt in a medium-sized pot. Add cinnamon sticks, cloves and sliced pears. Cook on low heat for 30 minutes. Remove from heat and let cool for 10 minutes before serving. 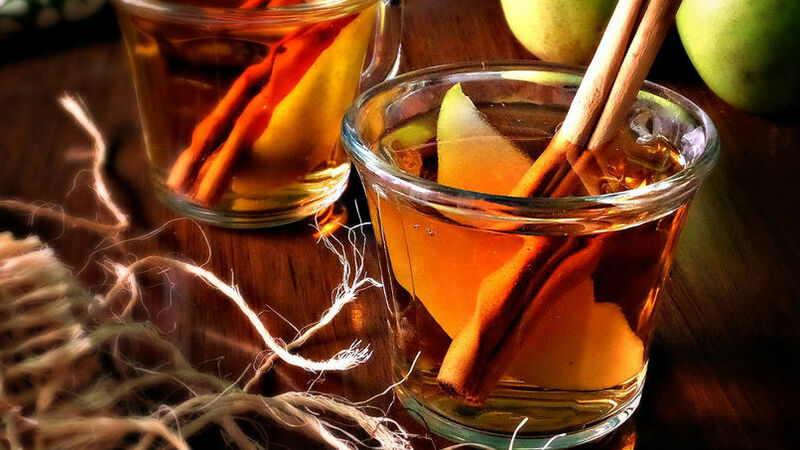 Serve the punch in cups, include a few pieces of cooked pear and garnish with a cinnamon stick. Salud! If you prefer apple punch, use apple juice instead of pear juice. For a special adult punch, add a little shot of white rum in each cup before serving. We have a saying in Mexico, “to live is to remember and to remember is to live”. The season that most reminds me of my childhood is Christmas. No Christmas is complete without thinking about my grandparents. Especially the delicious aroma of tamales cooking next to the large pot of ponche de manzana that my grandmother used to make during Posadas! I still make my grandmother’s punch. It wouldn’t be Christmas without a nice cup of punch. Sometimes I follow the recipe by the book and I make it with apple juice, but there’s something irresistible about making it with pear juice. Pear punch has a soft delicate flavor and just one sip brings back so many unforgettable memories from my childhood. This Christmas, create unforgettable memories with your family by making this sweet and delicious punch.